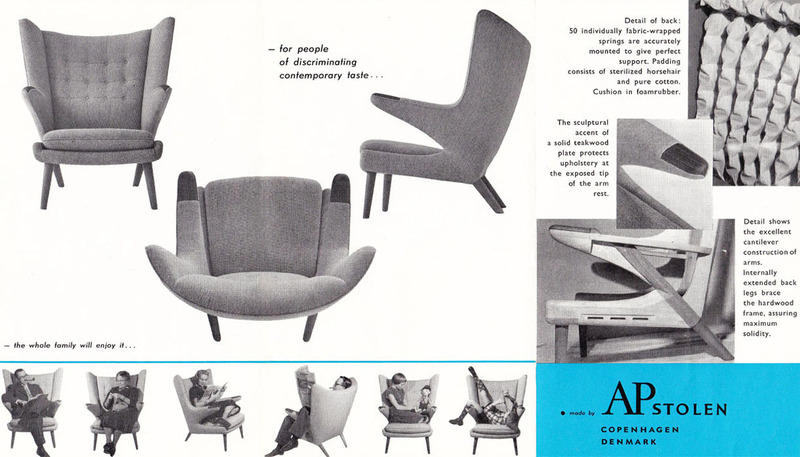 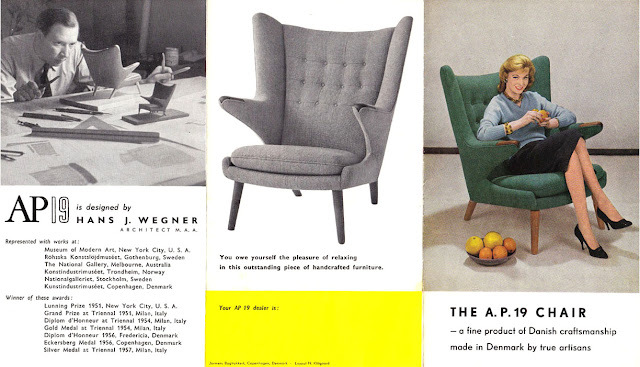 Danish designer Hans Wegner (1914-2007) designed the AP-19 chair, better known as the "Papa Bear" or "Teddy Bear" chair, for AP Stolen in 1951. 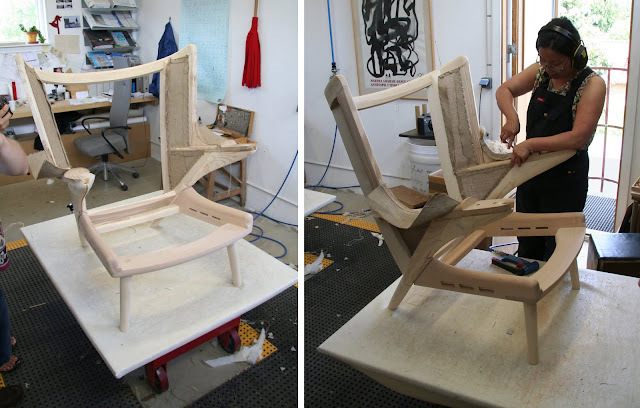 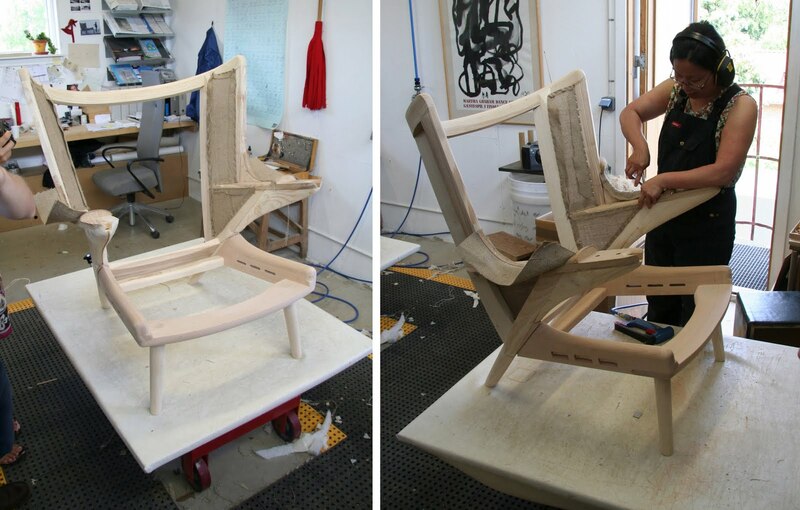 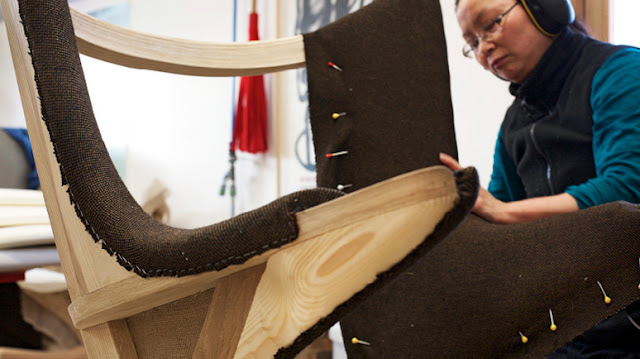 Beginning in 1953, the Danish workshop PP Møbler, formed by brothers Ejnar and Lars Peder Pedersen in 1953, began manufacturing the beech wood frames for the chairs. 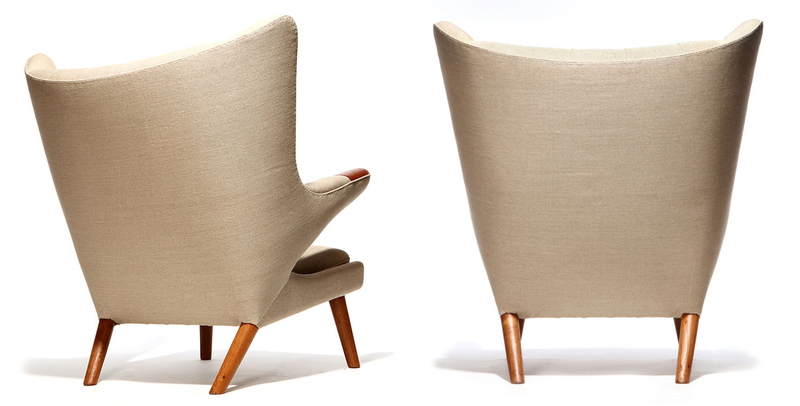 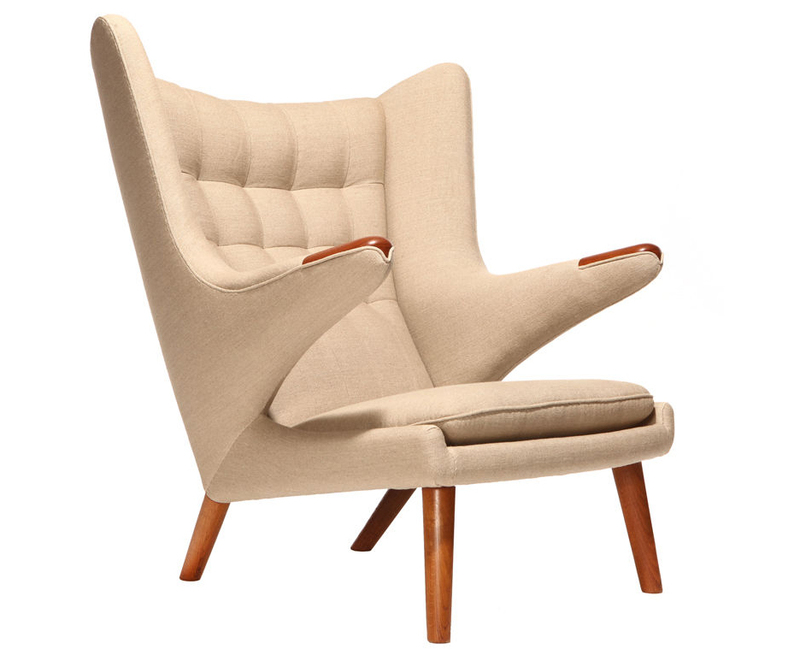 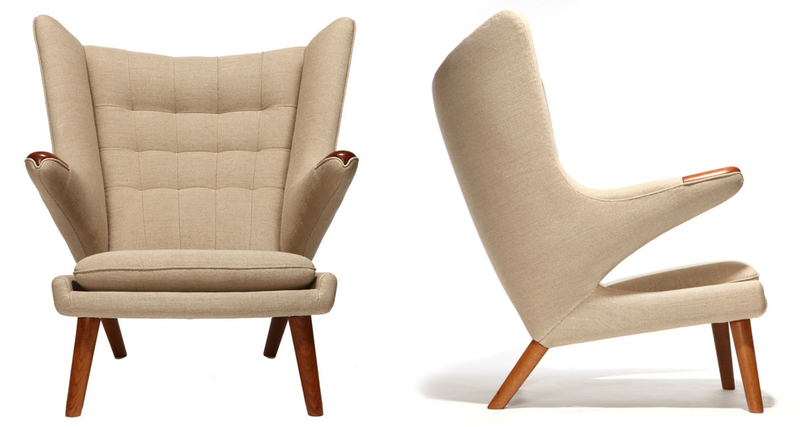 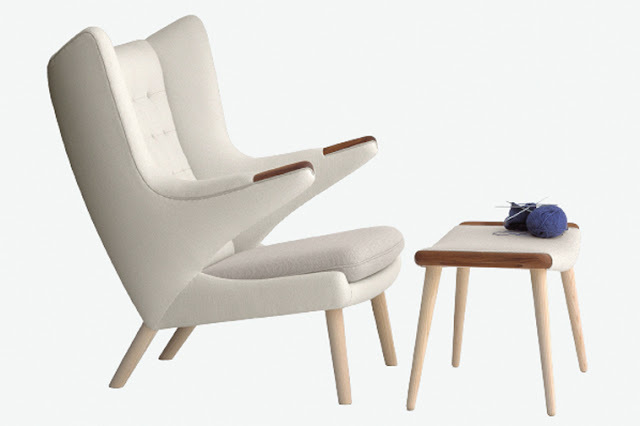 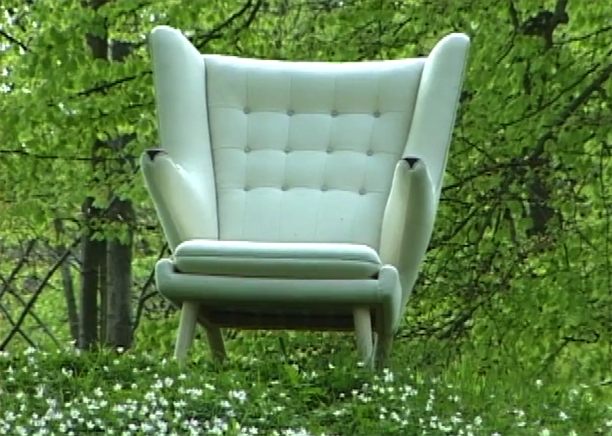 In celebration of PP Møbler's 50th anniversary, the company reissued the "Papa Bear" chair and ottoman. The chair received its namesake after a critic commented that its armrests were like "great bear paws embracing you from behind." 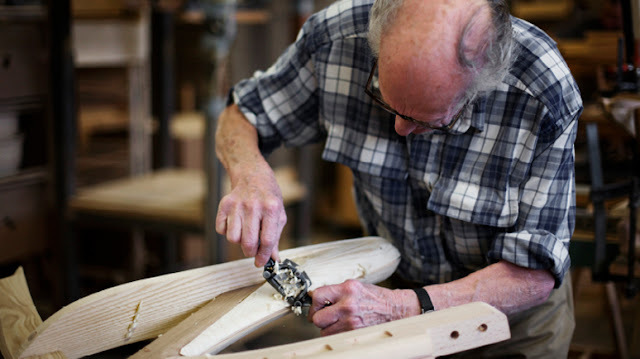 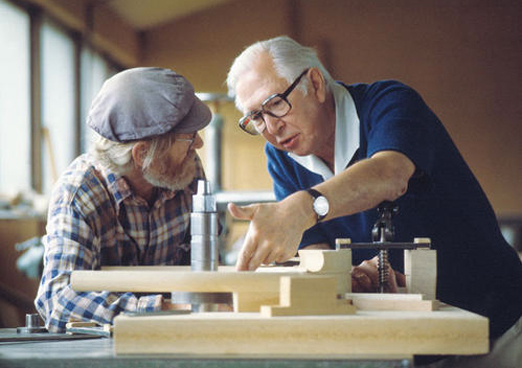 Hans Wegner working in the PP Møbler workshop. The above manufacturing images are courtesy PP Møbler. 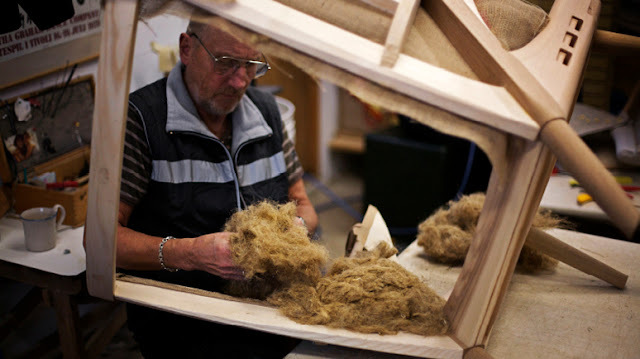 Visit PP Møbler's website here.